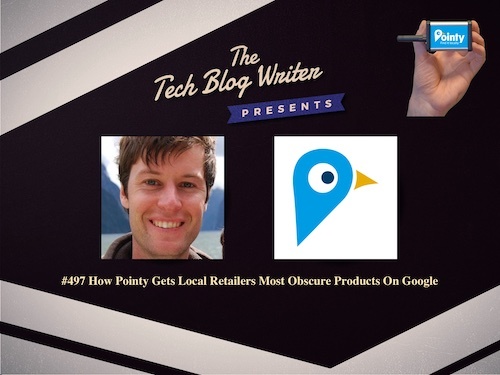 Mark Cummins is the co-founder of Pointy, a startup that helps local retailers get their products online. Retailers just plug in a Pointy device, and the complete contents of their store are displayed online automatically. Previously Mark co-founded Plink, a visual search engine company that was the first UK-based company acquired by Google in 2010. Mark spent several years at Google post-acquisition, working on the Visual Search team. Pointy allows independent retailers to bring their inventory online through their unique device. He shares some great figures on how the “Retail Apocalypse” is overstated and how bricks and mortar retail is growing in this great episode. We also discuss how they are reimagining search, creating a database of all of the world’s offline products that gives your average bricks and mortar store more of a foothold in the fights against Amazon. Pointy also has the ability to create the largest system of distribution warehouses in the world too as a result. I invited Mark onto the show to share his startup journey. From Plink becoming Google’s first UK acquisition in April 2010 and how their visual search engine technology allowed users to simply take a picture of something in order to find out more about it to his incredibly exciting venture with Pointy and how it is helping local retailers get their products online.